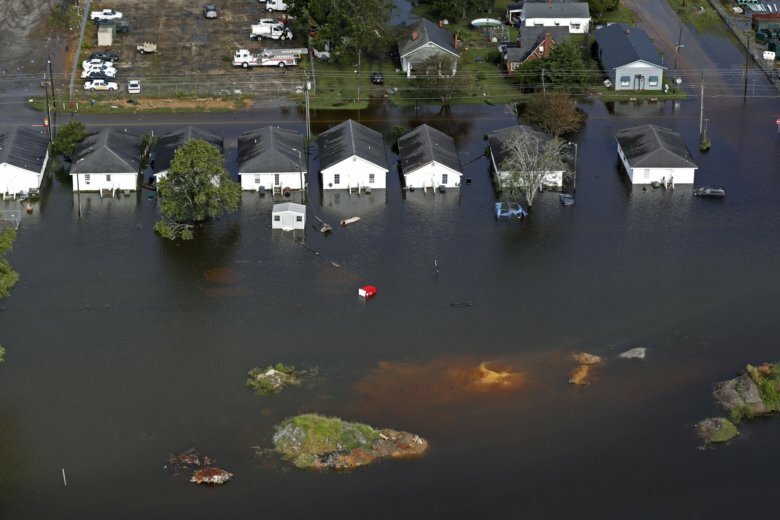 LUMBERTON, N.C. (AP) — From above, many North Carolina neighborhoods look like lakes and rivers. Nothing has stopped the water from flowing in Florence’s wake — cars, houses, trees, even small planes on a runway appear adrift in the landscape. Rescue crews by boat and by air have plucked people signaling for help from the roofs of vehicles or whatever small patches of dry pavement they can find. Emergency crews have thrown lifelines to stranded cities such as Wilmington, delivering food, water and other essentials. For many, the wet misery was not yet over, as rivers swelled Monday and the weakening tropical depression was forecast to drop more rain as it turns toward the Mid-Atlantic and New England over the next few days.